As Sri Lanka marks the first 5 years since the end of the armed conflict in May 2009, the IPS launches a special series of posts on our blog – ‘Post-War Economy: 5 Years On’. 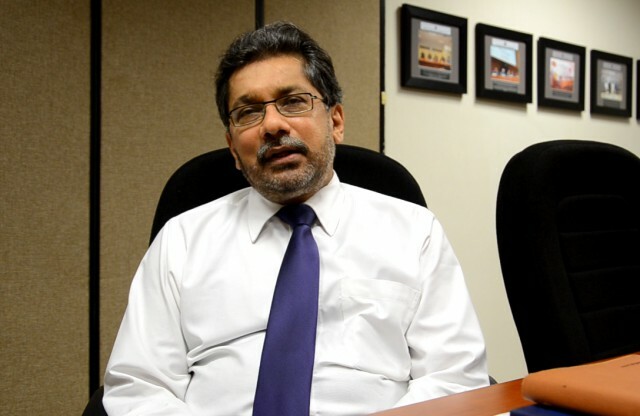 In this first of the series, we feature an interview with Dr. Saman Kelegama, IPS Executive Director, who shares his perspectives on how the country has fared since the end of the war, and what challenges are in store for the next 5 years. Kelegama reviews the rapid post-war development in several areas of the economy, with particular reference to the accelerated completion of infrastructure projects. “The post-war period facilitated the quick completion of these projects”, he noted. War-affected provinces are now making strong contributions to the national economy, and he pointed to the example of the Eastern Province that is now the largest paddy-producing region of the country. Yet, he observes that Sri Lanka was faced with an adverse global economic climate, despite the opportunity that opened up with the end of the war. He reminded us that, “…when the war ended it coincided with the global recession starting and making an adverse impact on all developing countries including sri lanka”. When asked whether Sri Lanka has fully reaped the post-war dividend, he asserted that, “No, we have not fully harnessed that opportunity – there is a very large unfinished agenda”. He pointed to a few key aspects. First, Sri Lanka has not been successful at attracting FDI. Compared to Vietnam’s 4% of GDP, “our FDI has been fluctuating between 1 to 2% of GDP”, he observed. On reasons for this, he argued, is that the country has not been giving the right signals to foreign investors. “We have to give predictable and consistent signals without policy backtracking”. He cited reasons instances like the private sector pension bill, the bill to permit private participation in higher education, the Act to acquire private enterprises, etc. Second, Sri Lanka’s export performance remain weak, and the export share of overall GDP is low. Third, Sri Lanka’s relationships with Western countries have seriously faltered. He remarked that, “We have not been able to fully convince the Western countries – who are still our major export markets – that the post-war reconciliation and development is on the correct path. That is why we lost GSP Plus in 2010. There is a lot more to be done on reconciliation and also our dialogue and discussions with the Western countries”. Dr. Kelegama also discussed the country’s weakening tax revenue position, as a critical area to tackle in the next five years, and recalls the reform proposals made by the Presidential Commission on Taxation. He also cautions against depending heavily on foreign borrowings to finance the savings-investment gap – “This borrowing is not sustainable”, he said. During the course of the interview, his comments cover the gamut of Sri Lanka’s development trajectory since May 2009, including infrastructure, foreign investment, policy inconsistency, government revenue, reconciliation, exports, and more. Watch the interview and have your say in the comment section below. Anushka Wijesinha was formerly a Research Economist at the IPS, Acting Head of the Industry, Competitiveness and Regulatory Policy Unit, and Editor of 'Talking Economics'. He is an Asia Development Fellow (2013) and a World Economic Forum Global Shaper - Colombo Hub. His research and policy advisory aims to influence policies that drive innovation and also policies for inclusive private sector development and SME growth.